Should You Exfoliate After Shaving? Exfoliation helps skin regenerate itself. 1 Should You Exfoliate After Shaving? 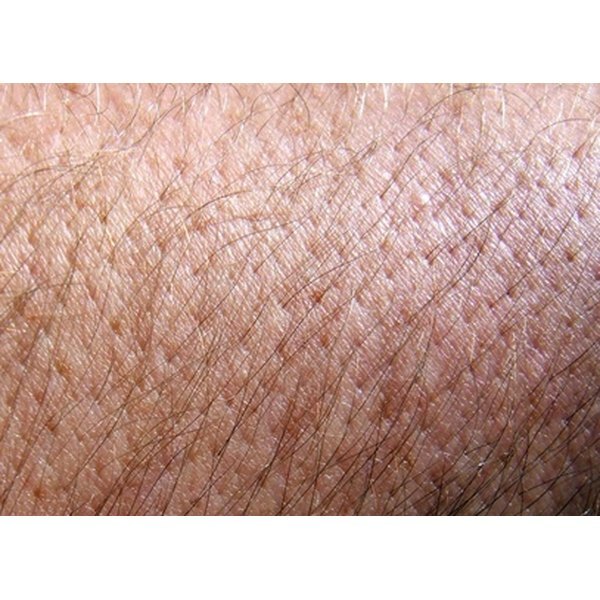 Human skin is constantly regenerating itself. Old cells on the top layer of the skin die and are replaced by new cells that form in the lower layers--the dermis. Like so many other biological functions, we take this process for granted. As we age, however, our skin's natural regenerative powers deteriorate. Exfoliation is the process by which people help the skin regeneration process along by removing dead skin cells and making way for new ones. People with normal, healthy skin can exfoliate manually by using sponges, cloths or loofahs. These products contain fine granules of grit that strip away dead cells. People with acne and those whose skin is excessively dry, sun-damaged or thick may opt for chemical exfoliants in the form of gels, creams or lotions. These products usually contain alpha hydroxy or beta hydroxy acids that serve the same function as the grit in manual exfoliation. For those with sensitive skin, enzyme exfoliates--powders, cleansers, pads and masks containing proteolytic enzymes--are a gentler alternative. Always wash the skin before exfoliating. While the skin is damp, scrub the sponge, cloth or loofah in gentle, circular motions against the surface. Be careful not to scrub too hard or too long in any one area, as this can cause irritation.. Rinse away the grit and flaked skin, then apply moisturizer for protection. Clearing away dead skin cells improves its appearance. If done regularly, it increases the skin's ability to absorb moisture, which will keep it softer and less prone to wrinkles. Regular exfoliation also reduces the risk of wrinkles. You don't have to buy commercially manufactured exfoliants. Dry oatmeal wrapped in a porous fabric such as muslin or cheesecloth can have the same effect. Dampen the cloth and rub it over your skin the same way you would and exfoliating sponge. You can also use wet oatmeal as a facial mask. Grapes make a great post-exfoliation skin cleanser--just split them in half and scrub. Don't overdo it. Stripping away too much of the epidermis can cause the skin to dry out and get itchy. After exfoliating, it's a good idea to put on sunscreen, because the process increases your vulnerability to sunburn. Also, before applying a chemical exfoliant, test it on a small area of your skin to make sure it doesn't irritate.